The principles of the Buddhist path, Dzogchen Foundation winter retreat, Garrison Institute, January 2011. This is a lecture covering 2 days in January 2011, when Tulku Sherdor spoke to a group on retreat at Garrison NY. 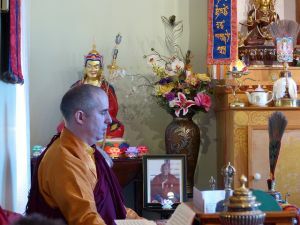 Tulku Sherdor is introduced by Lama Surya Das.